Plus Size Retailer SimplyBe's Latest Campaign, Mistake or Misunderstood? It seems this is our year! Woohoo… Many fashion retailers are incorporating our sizes and sincerely upping their plus size fashion game in terms of style selection. If you haven’t heard SimplyBe is underfired! Yes, ma’am. 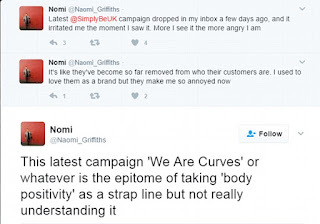 SimplyBe, such an awe-inspiring retailer, has caused some of its consumers anguish and you guessed it…because of their body positivity campaign. What is up with people getting upset around these body positivity campaign for plus size women. 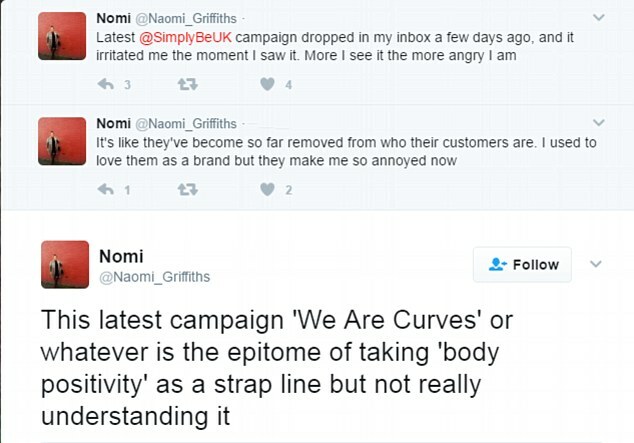 Well as it turns, SimplyBe received backlash for not including more curvaceous plus size models during their campaign. While the models were in fact beautiful and curvy (about size 12-14), many argued that it wasn’t a true depiction of all their customers. Some even called the women “normal size”. Customers believe in SimplyBe’s moto of empowerment, encouraging them to embrace their bodies, and “work their curves”. Perhaps, with that we could certainly understand everyone's shock when the campaign only represented what they believe was a fraction of their customers. While I agree that all customers should be represented in any advertisement or movement, in SimplyBe’s defense, their sizes range from 8-28. With such a variety of offerings, it seems they were trying to meet with a happy median. Unfortunately, in doing so, there were groups of women that felt underrepresented. However, that still doesn’t change the retailer’s mission, nor the fact that they do work towards the good of their customers and offer stylish designer plus size clothes. In addition, we as a society have to remember that we do come in different shapes and size and we are all are beautiful.